If you love mountains, Washington state is the place to visit (or live) and if you love massive, snow-capped, glaciated peaks, then Mt. Rainier is the mountain for you. The crown jewel of the Pacific Northwest, Mt. 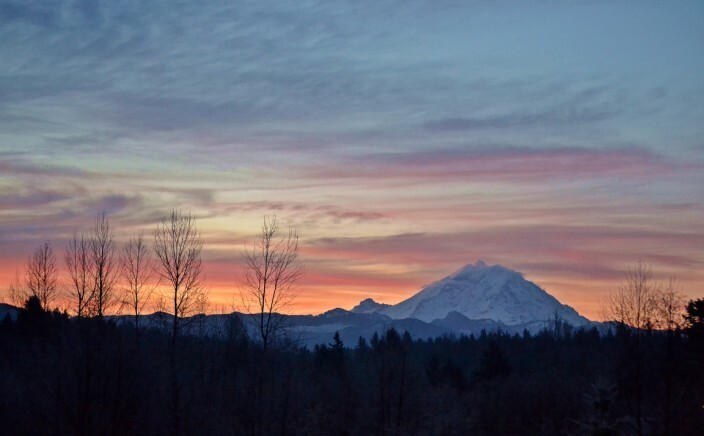 Rainier sits astride the Cascade Range like a colossus, towering over the surrounding terrain at 14,410 feet elevation, the second highest peak in the lower 48 states and boasting the largest U.S. glacier system outside of Alaska. 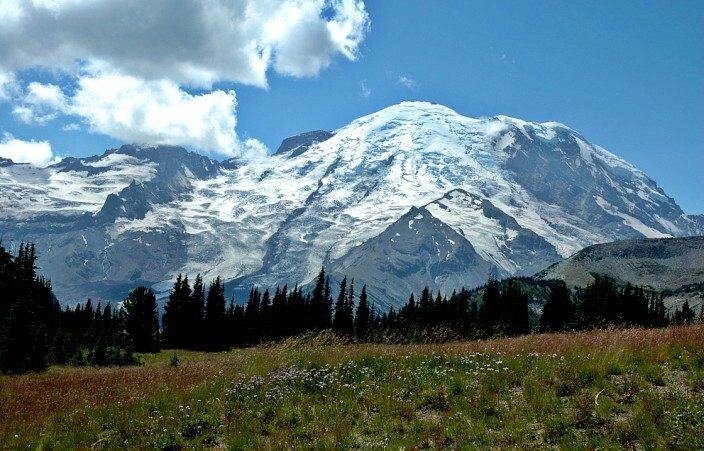 Over 35 square miles of permanent ice and snow cover Mount Rainier. 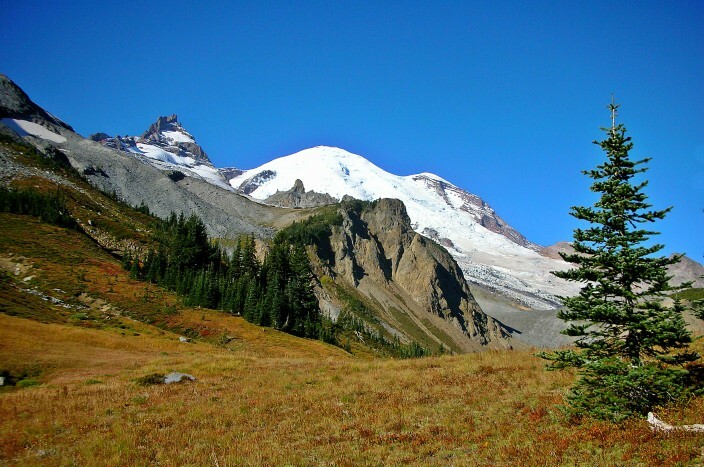 Of all the glaciers in the contiguous U.S., Mount Rainier’s Emmons Glacier has the largest surface area (4.3 square miles). Carbon Glacier is the longest (5.7 miles), thickest (700 feet), and has the lowest terminus elevation (3,500 feet) in the contiguous U.S.